We return to Servant Jazz Quarters for yet another dance off joining us for this session will be our friend Bosa from the mighty MogaDisco – South London’s No.1 tropical party starters and all round vinyl aficionados with a passion for the music of Africa. A vinyl purist, Bosa has spun some of the most unique African music collected. Having “borrowed” obscure records from his Nigerian father and taken research trips to The Gambia and Ghana he is as unique as it gets. 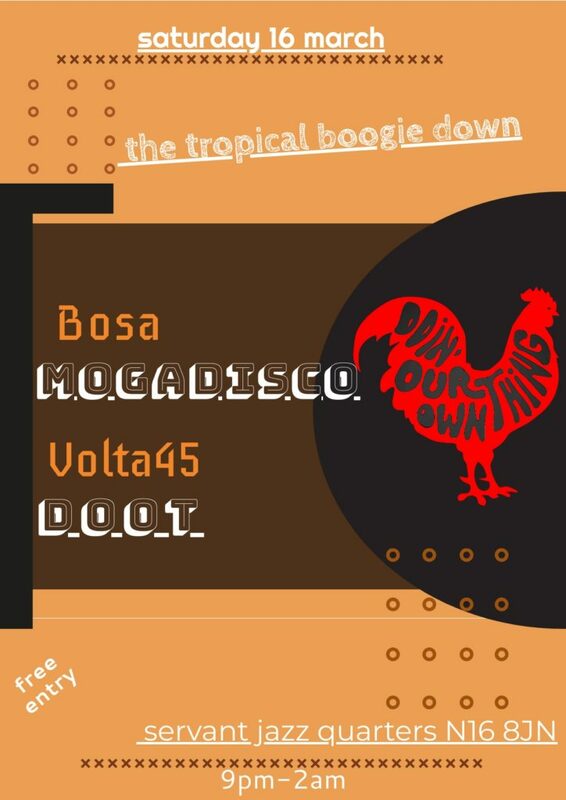 Volta Fortyfive joins Bosa to spin some mind bending tunes from around the globe.